Children’s book author and illustrator Max Velthuijs made his international breakthrough with books about Frog (in Dutch: Kikker). Children experience major and minor adventures with Frog. They read about friendship, being yourself, accepting and helping one another, anxiety, being in love, death, and the wide world. Thanks to Frog, their world can become larger and they can face up to all challenges. 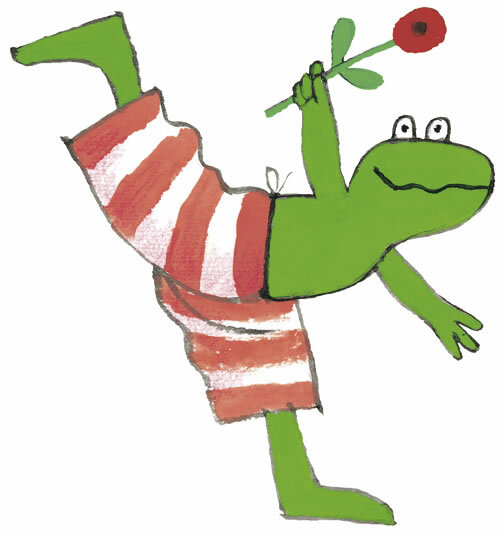 The first book Frog in Love, which appeared in 1989, was translated into numerous languages. Many adventures of Frog and his friends followed. Several of these books were also honoured with literary awards. In 2004, he received the international Hans Christian Andersen Prize.